This simple little book builds tension through the use of a guessing game and the wonder of waiting for an egg to hatch. On one page, the habitat and a little description of the eggs are given, with the question of “What will hatch?” Take a guess, turn the page and find out the answer. There are lots of surprises along the way. The clever use of die cuts in the pages that peek through in egg-shaped holes adds to the fun. Eight different animals are shown here with basic information. Nicely, there is more information at the end on each of the animals as well as information on chicken egg development. Ward’s text is particularly simple, just a few phrases with a skip of repetition. It is the illustrations here that really make the book. Done in gouache on wood, the images have a lovely texture to them that combines beautifully with the swirling nature of the art. The texture also reinforces the natural subject matter in a subtle way. A great pick for toddlers, this book will keep them guessing as the pages turn. Expect to have to share it again and again. Appropriate for ages 2-4. The shortlist for the Diverse Voices Children’s Book Award has been announced. The award is jointly funded by Frances Lincoln and Seven Stories – National Centre for Children’s Books. The award recognizes the best of diversity in children’s books, specifically books for 8-12 year olds that contribute to social and cultural tolerance. 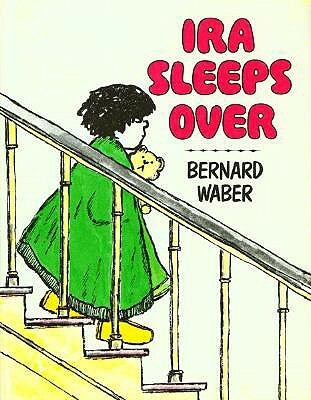 Bernard Waber, author of classic picture books like Lyle, Lyle Crocodile, The House on East 88th Street, and Ira Sleeps Over, has died at age 91. His 33 books have sold over 1.75 million copies.